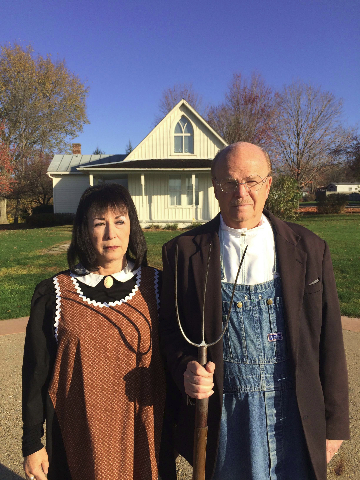 Visitors pose in front of the American Gothic house in Eldon, Iowa. 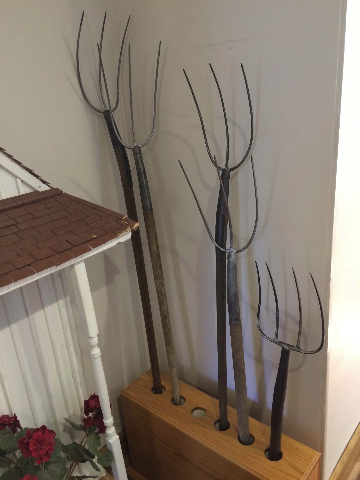 The nearby American Gothic House Center lends aprons, overalls and pitchforks to the thousands who come each year to pose as the figures in Grant Wood’s iconic painting. 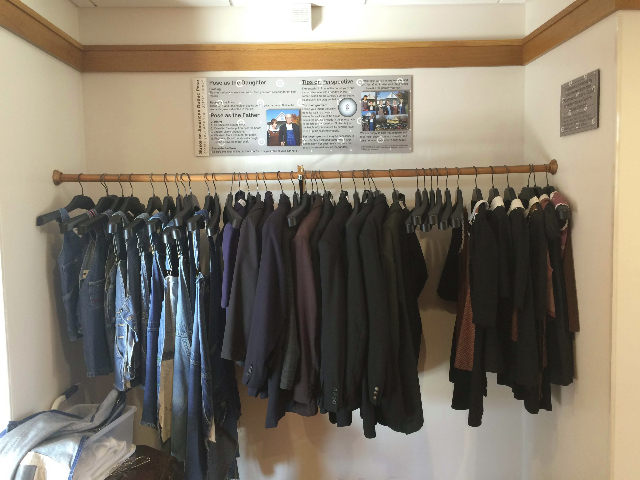 Costumes for individual hoto ops. 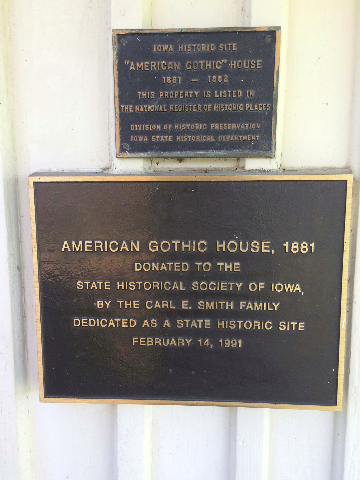 GOTHIC DRAWS VISITORS TO ELDON, IOWA. pinch-faced, apron-clad woman who gazes sideways into the distance. masterpiece, and to make themselves a little part of its story. GET IN THE SPIRIT AND PUT YOURSELF INTO THE PICTURE. (in place of the broach worn by the woman). TheAmericanGothicHouse@gmail.com. Admission to the Center is free. 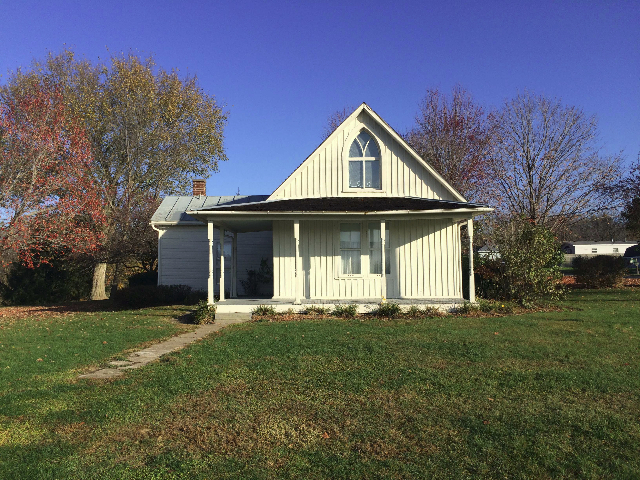 Grant Wood’s House in Iowa City; and Riverside Cemetery in Anamosa. useful guide for those laying out a tour. AND REMEMBER: “I had to go to France to appreciate Iowa.” Grant Wood. "Thank you for the wonderful coverage of Grant Wood in Iowa. I wanted to let you know that we have a wonderful Grant Wood exhibit in Davenport Iowa at our Figge Art Museum. If you would ever be interested in visiting the Quad Cities region I would love to show you the exhibit we have at the Figge Art Museum as well as the Isabel Bloom sculptures created right here in our city. Isabel was student who studied under Grant Wood himself. 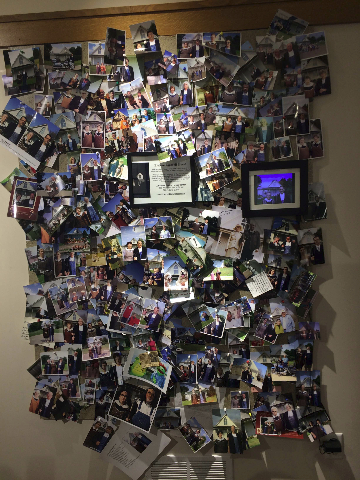 I look forward to hearing from you in the New Year! Best Wishes,"